The Stanbic Uganda Cup Semi Finals is on this Tuesday between Vipers and Villa in the second leg at the St Mary’s Stadium. The first leg was no joke as it consisted of violence and charged up tempers from both sides as it game ended in a goal-less draw at the Mutessa II Wankulukuku Stadium last week. For starters, clashes between the two clubs since late 2015 have been explosive both on and off the playing arena. In October 2017, fans in the Sports Club Villa section at St Mary’s Kitende are reportedly said to have caused damage to the internal fencing separating the fans wing from the VIP pavilion, a game where Vipers won 1-0 during the league first round – thanks to Tom Masiko’s free-kick. The 2017 encounter at Kitende saw Villa fans cause damage to the internal fencing. Also for the league second round, Vipers won 1-0 in Masaka courtesy of Dan Sserunkuma’s calm finish inside the goal area. The last game played last week between these two sides went goal-less at Wankulukuku. Players on both sides struggled to score but they fought hard to go goal-less. At half time, Vipers head coach Miguel Da Costa was allegedly hit by a flying object in the chest and taken to hospital, thus missing the subsequent second half (he has since recovered). In the terraces, the tale was no different and the game was punctuated by several stoppages before live bullets and tear gas canisters were fired in the air to disperse rowdy fans. 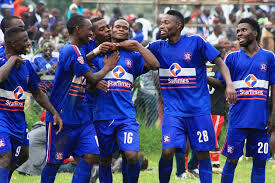 During the aftermath of the chaos, Vipers management barred 17 fans suspected to be from the SC Villa Jogoo wing from accessing St Mary’s Stadium for the Tuesday return leg. Both clubs did not break off the training since the first leg. The two camps however contributed players to the national team (Uganda Cranes) away to Niger for the international build up matches against Central African Republic and hosts Niger. Vipers’ Milton Karisa, Tadeo Lwanga and captain Nico Wakiro Wadada were joined by Sports Club Villa Jogoo’s Allan Kyambadde. The players returned early morning and took part of the last training sessions before the clash but Lwanga will be missing in action due to suspension. Also, the two sides contributed players to the FUFA Drum tournament for the various provinces during the Saturday and Sunday games. Therefore, Monday’s respective training sessions for either clubs will mean a great deal in assembling the teams that will lock horns on Tuesday. 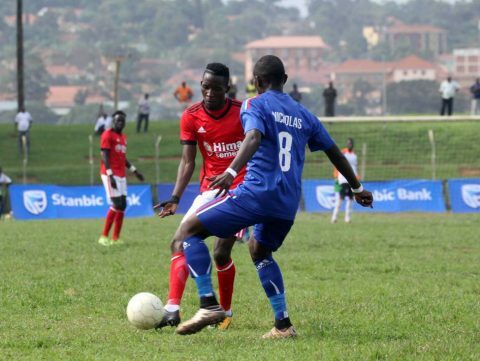 SC Villa Jogoo played a training match with Njovu Clan at Villa Park on Saturday. Vipers has no fresh cases of injuries (unless otherwise) but Sports Club Villa Jogoo is praying first choice goalkeeper Samson Kirya and his understudy Samuel Kivumbi pass late fitness tests. 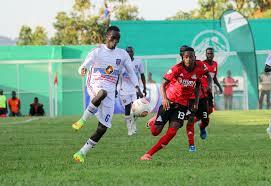 Should the duo fail to make it, then January recruit Yusuf Wasswa will start in the Jogoo goal posts. Winger Simon Sserunkuma could also miss the game due to compassionate leave having lost his grandmother on Sunday night (burial is Monday evening in Kiteemu, Kampala surburb on Masaka road). Left back John Adriko, who missed the first leg because of accumulated cautions returns and will fight with Arthur Kiggundu for a starting slot. Vipers will look to the sharp forward Daniel Muzeyi Sserunkuma for the much needed inspiration. At the back, on form left back Yayo Lutimba, roving right back Wadada and the central defensive partnership of Bashir Asiku with Geofrey Wasswa as well as the safe gloves of Isma Watenga, Vipers looks safe. The Jogoos’ primary source for goals is through George Ssenkaaba, Yubu Bogere, Alex Kitata and Martin Kizza. If named Godfrey Lwesibawa and Vitalis Tabu are two wingers ready to ignite pace on the flanks. Abel Eturude, Nicholas Kasozi and Allan Kyambadde are the Ventral midfield options. “We need a double this season and it is possible. The game is tight but we shall work hard to win it and progress “said Da Costa. Wasswa Bbosa, head coach at SC Villa Jogoo believes they have all it takes to progress to the finals and win the championship as well. “Since we failed to win the league, all our energies are onto the Uganda Cup and we shall work hard for it “said Wasswa Bbosa. The winner will progress to face KCCA in the final, coming up on 9th June 2018 at Emokori play ground in Bukedea district.